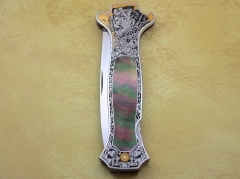 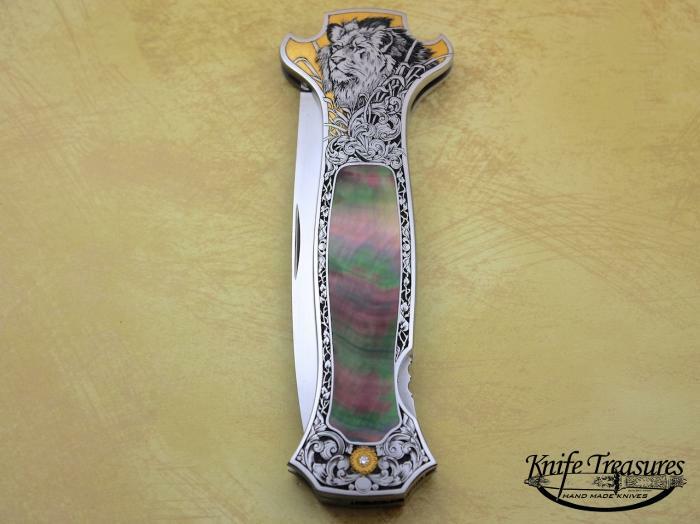 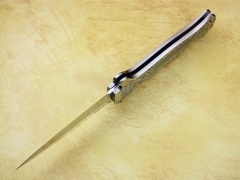 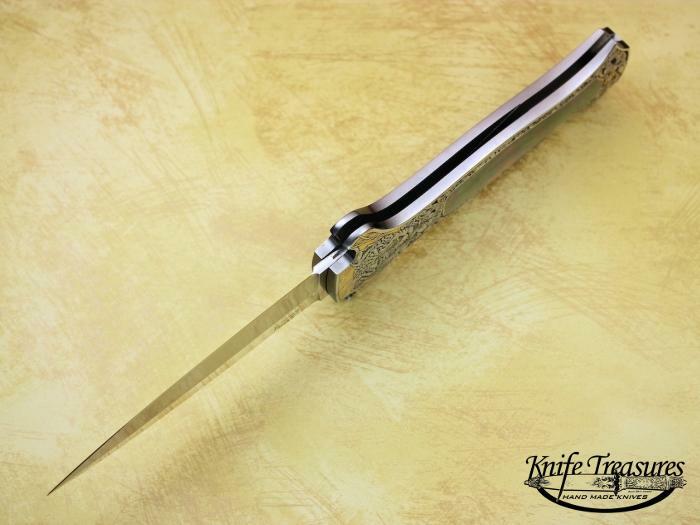 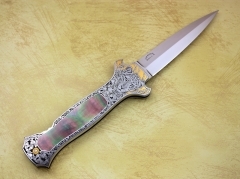 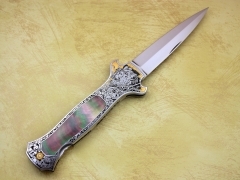 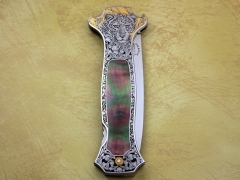 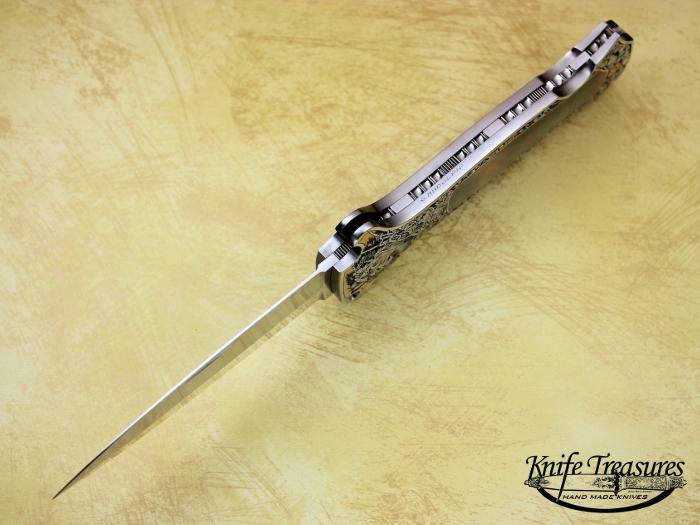 A Beautiful "Dead Bug" Model Dagger by the late Joe Kious. 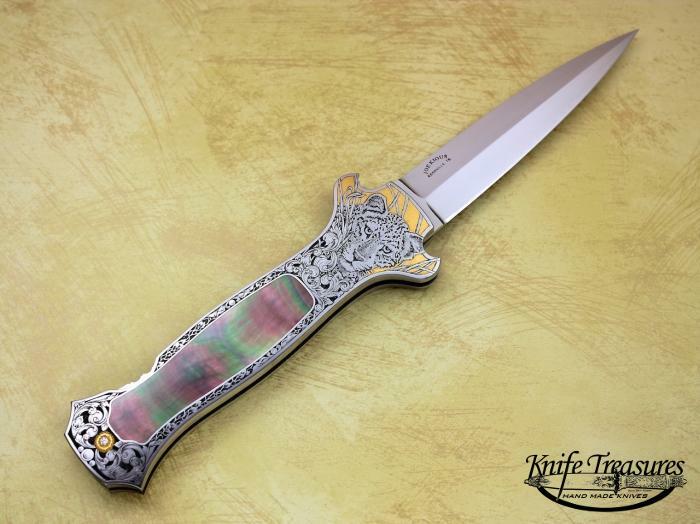 This beauty has radiant Black Lip Pearl and has been very nicely engraved by Gil Rudolph. 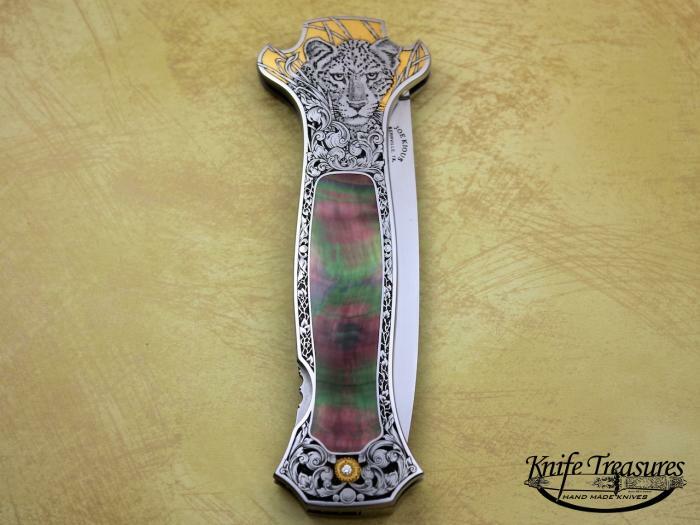 Gil has done a nice engraving theme of big cats with a Lion and a Leopard with Gold as a background and also has a nice diamond set at the bottom of each side.